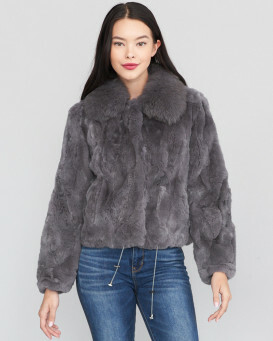 Show off your wild side with our Roxy Layered Fox Fur Jacket for women. This exotic jacket begins with a genuine fox fur shell with a colorful palette. The layered chevron design is stylish and keeps up with the trends. 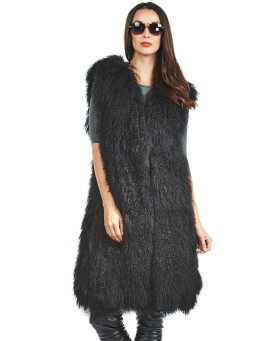 The edgy look is lengthy and features a large fox fur collar. An interior drawstring features metal bell ends to cinch about your waist and craft an hourglass silhouette. Five hook and eye closures can be fastened down the front. Two side pockets can hold anything you'd like discreet.